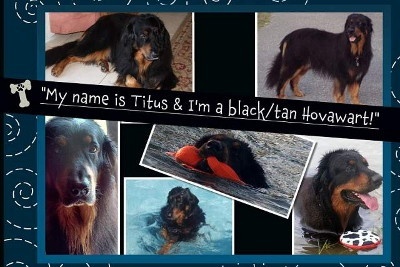 He loved it so much I registered him with NADD North American Diving Dogs and we are going to keep it up! We love dock diving! I think it's one of the most fun dog sports, ever! Great photos. Gibson's Golden Girl, CD, CGC, TDI ( 3-20-1997 - 11-22-2013) a.k.a. "Tiny", "Queen B"
Gibson's Golden Guy, CD, CGC, TDI ( 01-31-1998 - 01-02-2012) a.k.a. "Toby", "HRH"
Dock diving is great fun Joey and I have been doing it "unprofessionally" since he was 1 or 2… and we've been jumping in competitions for about a year now. His second competition he came in 2nd in Junior, but jumped a senior jump! So much fun! We plan to get Noah into dock diving when his growth is mature. Not sure how safe it is for growing pups' joints - anyone know? I wish we had that in Fr.Great pixs!. If you don't like a wet,shedding dog,don't get a golden or a Hovawart!. RIP,My Beloved Priska & Titus!. That looks like so much fun, we don't have any dock diving events in my area either. I think my boy would really enjoy dock diving. There is going to be a dock diving event in Maryland coming up. 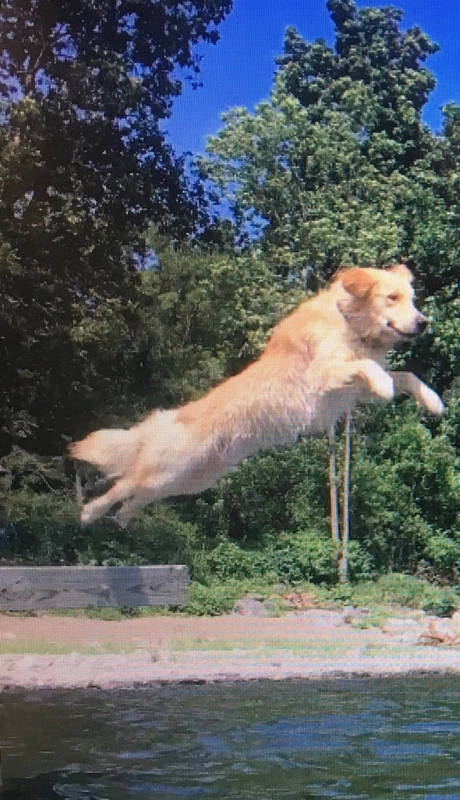 My puppy is now 15 months, and he loves dock diving. He spent the summer training and is ready to break into competition this spring.